Are you a budding photographer? Interested in wildlife? The London Borough of Redbridge Nature Conservation Ranger Team are holding a wildlife photography competition. An exhibition displaying the entries received will be held at Central Library [be careful if you visit: see next post], Ilford on 16th-28th March. A public vote will decide on the best photo. Entries can be submitted either in hard format or on a CD. Please include details of when and where the photo was taken - all photos must be taken within the London Borough of Redbridge. Entries must be received by 9th March 2009. Whilst not encouarging entries via email, submissions up to 1 megabyte are acceptable. 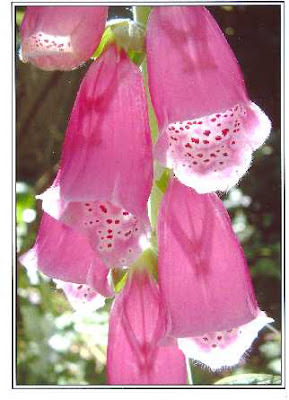 Here's last years winner: Foxglove by Jennifer Charter. Tip: I had a Green Woodpecker hopping around my lawn today. I had the zoom wound up so much that the photos came out off centre and blurred. What I should have done, I now realise is to wind down the zoom and then crop and enhance the photo. Silly me.